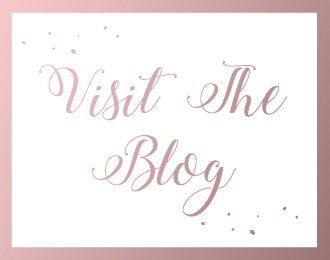 I really wanted to write this post as I feel like so many women worry about becoming a single mum and having no help with money, or being loads worse off. Money is a bit of a touchy subject for some people especially when you mention to someone you’re a single mum, and you find yourself covering your tracks by saying something like ‘I do work though’ just to let people know you’re not a ‘full time yummy mummy’ on benefits, watching Jeremy Kyle everyday 😉 I really wanted to speak about this subject because there are so many hard working single mothers out there working all sorts of hours and struggling along with childcare, I want to applaud any mum who works because I honestly feel for me it’s the hardest part of being a single mum. Trying to balance home and work life and tackle the morning school / work run. One morning I’m looking all shiny and presentable in my work uniform with perfectly applied make up, the next I’ll be rocking the loungesuit / mum-bun combo with no make up on and looking like a bit of a crackhead to be honest. What really annoys me is the way some people speak about single mums for example that we get funding for childcare from the age of 2, while the ‘hard working taxpayers’ only get it from age 3. So let me break something down for you guys. Before I had Kimaarah I had a good job working as a manager for a cosmetics company, at my best I was taking home £27k a year. Since being a single mum I’ve worked out that I’m better off just working part time, 3 days a week, and getting a little help with my rent and childcare, with what I get from my job now & my benefits works out to roughly what I had earned previously working full time. Meanwhile the ‘full time working’ parents are earning £30k a year each at least. Or one parent is earning lots so the other can stay at home. I just wanted to put a little perspective onto things, I know it’s not always the case for working parents and there are also people who abuse the system but those aren’t the people I’m supporting! But don’t bring an attitude to us single parents who are honestly just trying our best! There seems to be some misconception that single mums are somehow rolling in the taxpayers money, the truth is I work hard and treat myself and my daughter as if I was working full time because the government will only allow me to earn up to a certain limit. I don’t get my full rent paid and I can’t afford to move into a 2 bedroom place because each council has an LHA rate (Google it for your council). Ours is about £900 a month on a 2 bedroom place which means that’s the maximum amount that you can have from benefits, however this doesn’t mean to say this is what every single person gets, I certainly don’t! So around my area a decent 2 bedroom place is £1200 a month. I worked out that I would be paying over half of my money just on rent before I pay off anything else, it doesn’t make sense does it? So I have learnt over the past year to make the most of where I am, so Kimaarah doesn’t ever have to worry that she doesn’t have her own bedroom and can have a home to be proud of. I do believe it’s all about your mindset, the most grateful people are the happiest and it’s so important to regularly take time to look at what you have in life and feel grateful. Social media can be so damaging when you see certain accounts with their perfect homes, and start comparing yourself to them. I have really had to adjust my mindset over the past couple of years to allow myself to think positively about where we live and to not feel bitter about not being able to get a council place right away, it is what it is. To give you all some background, this August will mark 10 years that I’ve lived in my flat! So before Kimaarah was born I had many years of working hard and paying my own rent, so now when I need a little help I don’t feel bad. I’ve worked hard all of my life since the age of 17, I’ll be 31 this year. I’ve been on the council list for almost 3 years and I’m no where near the top of the list so I’ve decided to make the most of where I am now, and I’m finally in a good place with it. If you find yourself as a single mum I think you should never feel bad for asking for a little help, I don’t see why people would go without money for themselves and their children because they’re too ‘proud’ to be on benefits. The government is only going to give you what they say you need to live on, I really don’t believe in scrimping and scraping and that’s another reason I’ve stayed put in my flat, if I moved I wouldn’t have any spare money for Kimaarah to have nice clothes, go to ballet classes or have days out etc which I feel is important. I’d never want her to go without these things. A few people asked me to give advice on budgeting and honestly if you knew me you would see me try to budget every month and fail  I always work out that I have an extra bit of money to spend per week and it never works out like that. I do find it difficult because I always get my money at different times, some comes every 2 weeks, some every 4 weeks and then I’m paid from work every month. So it does make paying bills tricky at times but I always pay main things like rent, council tax and nursery fees on time. I don’t beat myself up if anything else is late! I will usually call whatever company it is and tell them I will be paying on whatever date I next get any money, and I’ve found they’re usually always flexible and will try and accommodate you if it’s within a couple of weeks. I’m always worrying about money and then spending all the money I don’t have, it’s a constant cycle. But I know that I’m not alone and that loads of us are struggling! Its another reason I try not to budget very strictly and give myself a bit of lee-way. I plan my own nights out (when I actually get one) around times I know I’ll have a little extra money to spend, and I don’t over-commit myself. I don’t feel bad about saying I can’t afford things because I shouldn’t have to, and my friends understand my situation. If you have ‘friends’ who don’t understand your situation you should get rid! As no one needs that kind of negativity in their lives. I try and plan at least one activity a month for Kimaarah, she also gets her tap & ballet lessons every week. If I’m honest I do have a really supportive family who help out with taking Kimaarah out, helping to pay for Birthdays and Christmas, and any extra expenses. Her dad pays money every month and that goes towards Kimaarah’s clothes etc as well as any bills I need to pay, food shopping. A lot of people asked me how do I afford my holidays and I have to admit that my mum pays for them. But thanks to my job I’m usually able to save us quite a bit on the price and I see that as my contribution! Last year I decided I wanted to book Disneyland Paris and I was able to get a good deal by taking advantage of the super early booker offer ‘stay 2 nights get 2 free’. In July I was one month ahead on my nursery fees (don’t ask how) so that’s when I booked and put down the deposit. For Kimaarah’s birthday I asked everyone for money and the same for Christmas. And then each month I’ve put what I could towards it. I also set myself a target to have the holiday paid off by January so I could save my spending money in the new year. So honestly booking in advance has been my lifesaver as I doubt I would have afforded it otherwise. After we get back from Disneyland I’m going to focus on paying off my credit cards, I have a few with only a small limit so I’d like to pay them off and then keep just one for emergencies and get rid of the other 2. I think with money it’s good to set yourself short term goals like things to do in the next month or 2, as well as long term like a holiday or paying off debts over a year or however long you think you can realistically do it. I do find writing down what money I have coming in each month and then my regular payments helps me to work out what I’m able to do with the rest. I just think you have to be realistic and not expect too much of yourself. Don’t make promises to your kids that you can’t keep, that’s one of the reasons I’ve kept Disneyland a surprise from Kimaarah because I’ve wanted to make sure the holiday gets paid off and I’ve saved enough spending money! Another point I will make is thanks to my job some months are very good for me and I’m able to earn bonuses and commission, the downside to this is any extra money I make obviously has to be claimed! I make the most of the good months, it will never stop me from working hard, even if there’s some months I’m worse off. I’m working really hard this year to make sure I earn well every month so losing out on my other money won’t have too much of an effect. 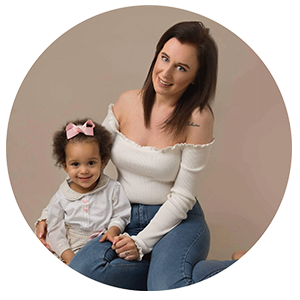 I worked out that I would be better off going back to work by using the website http://www.entitledto.co.uk – I went back to work when Kimaarah was 8 months old as I didn’t have any savings to get me through the last 3 months of maternity leave which was unpaid. Thankfully I felt ready to go back to work by that point and I don’t regret it, she’s grown up being aware that I work and she’s used to it. She knows that mummy works to pay for things and that’s really important to me! Just to end I want to say: If you’re in severe financial trouble there are free agencies like Step Change you can contact. I’ve used them before when I went through a bad patch at work and this was even before I had Kimaarah, I actually think I’m a lot more sensible with money now I’ve got her because I have to be, that’s all part of being a mum! Of course there’s always gonna be a new Sonata dress to buy, some things never change! And what’s life without a bit of luxury? This post turned out really long so well done if you made it this far! And feel free to leave a comment!